The Urban Chevron Pattern Glazed Ceramic Floor and Wall Tile is constructed from durable, slip-resistant ceramic material with a non-vitreous water absorption rating, making it a great choice for any room. With a patterned surface, handsome grey shades, low sheen, slight variations in tone and a glazed finish, this tile is perfect for floors, walls and countertops and suitable for residential or slight commercial flooring. Pair with a matching trim tile or a combination of field tile for the design that best suits your space and preferences. Rumidifier Wall Vent Room Humidifier is an extremely energy efficient and Eco-friendly Humidifier that works without any electricity. Rumidifier is powered by the dry air circulating from central furnace whereby the forced air coming up through the heat register passes through the Rumidifier unit and blows out moisture-laden air into the room. The unit is very easy to install over any wall vent and provides quiet operation with low maintenance. It also has the added convenience of being Cordless and Compact. Ceramic vent cover made to match Addison Place Gallery Crème tile. 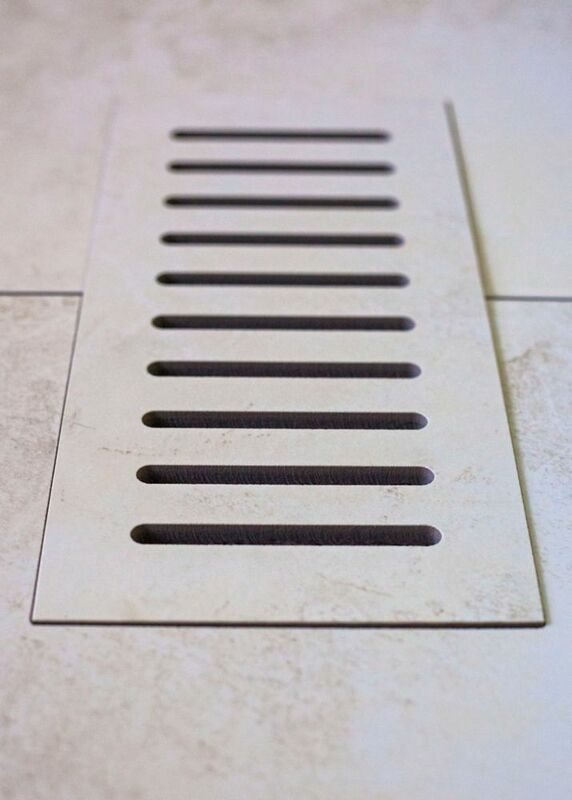 Size - 5-inch x 11-inch Finally a ceramic vent cover that matches your porcelain tile floor perfectly. Our Flush Mounted floor vents add style to any tiling project. Each vent is made from the floor tile you've selected and designed to lay flush with your floor. Beautiful, durable and easy to install all of our Flush Mounted floor vents come complete with a sturdy steel back support and a separate diffuser (dampener) levelling plate which allows you to control the air that enters into a room. Adding porcelain or ceramic Flush Mounted vents to your new floor will give your room an elegant final touch.